Chugga, chugga, choo, choo! 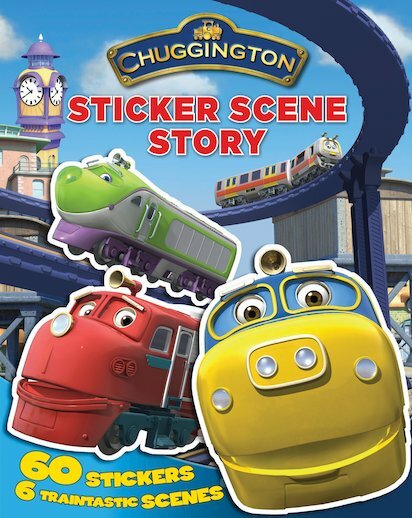 Sticker fun on the railway tracks with all the Chuggington crew! Deep in the heart of children’s imagination lies the land of Chuggington, where trains have come to life and everything runs on rails. The ‘chuggers’ in this magical world are engines of every kind, from streamlined locomotives to trolleys and old steam engines. With trains zooming in and going out, there are always heaps of amazing things to see. So come and see them all in this panoramic sticker book, which has over 60 stickers to finish the scenes!